* 36 month monitoring agreement required with automatic ACH payment. Early termination fees apply. View terms & conditions below. 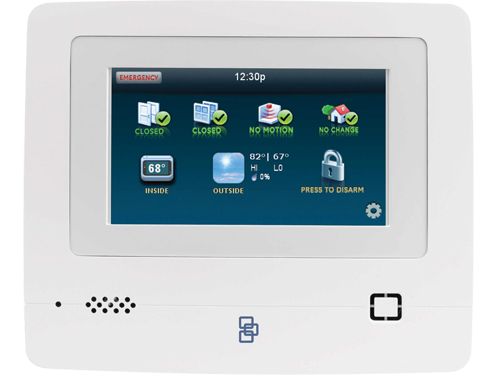 Why Kansas City Security Systems? Protect ground accessible windows with one or more motion detectors depending on the size of the house and whether or not large pets have run of the house when you are away. If motion detectors are not appropriate glass break detectors can cover most rooms or alternatively individual window contacts can be used. Cameras can be added. 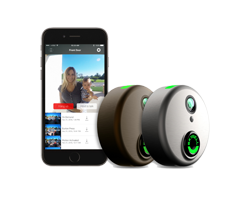 We like video doorbells as they protect you in several ways. 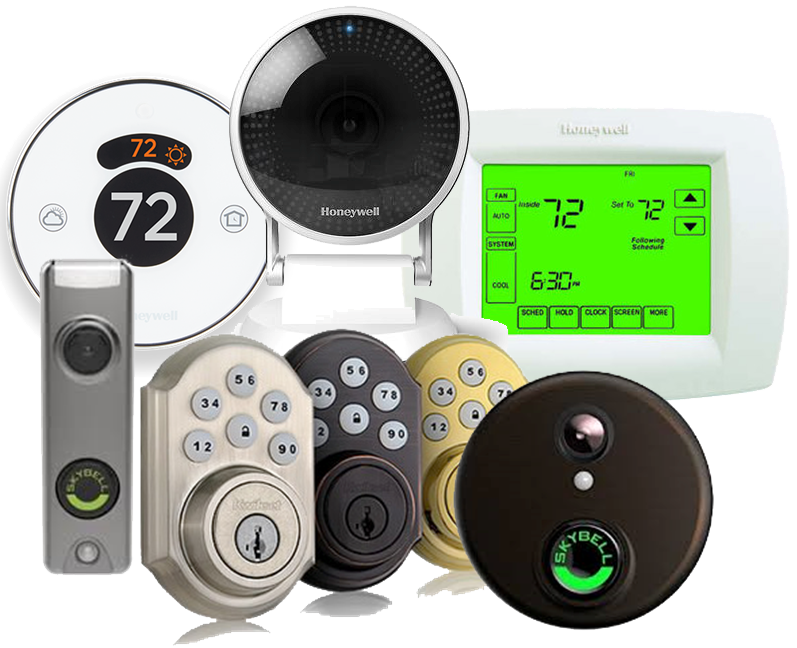 Home Automation can add safety and convenience with automatic lights, lock, thermostats and garage door openers. If you have any questions please call us at 913-667-0950. 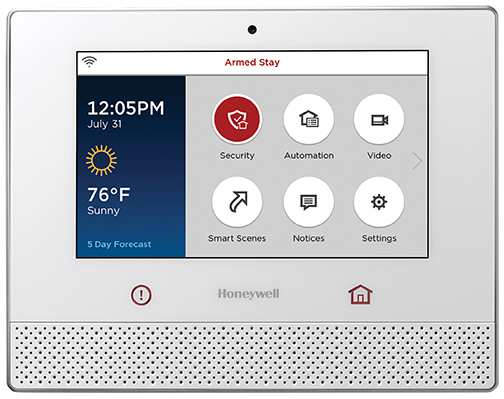 Take control of your home with automation and control of home systems such as your Security System, Lights, Locks, Garage Door Openers, and Thermostats. 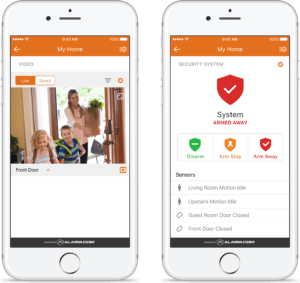 Get email or text alerts based on sensors around and throughout your home, as well as from motion activated cameras. 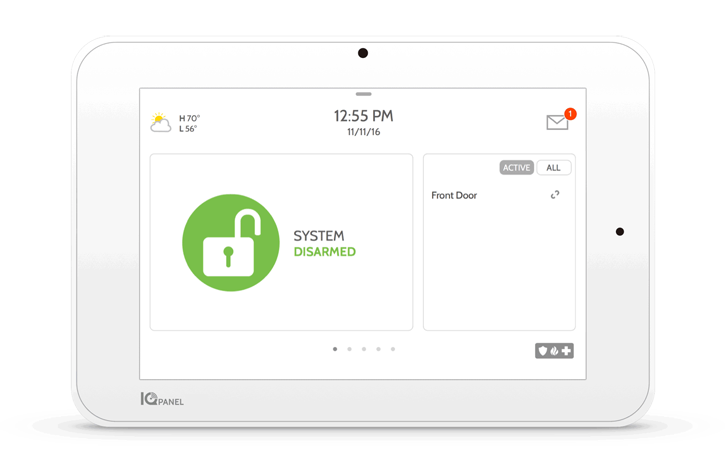 You can even get reminders when you have left your home with out arming the system or closing your garage door. Systems can even enjoy the voice control through Alexa and other home automation systems. As a reminder, security can be thought of in three phases, Deterrence, Denial, and Detection. ​Deterrence is an effort to make your home an unattractive target by making it look like you are home, even when your not. Denial consists of steps to make it harder to break in, such as dead-bolts, access control systems, bars in sliding door tracks, and making sure all windows are closed and locked. Detection is to rapid detect an intrusion, sound a siren, contact authorities, and warn your family. Alarm triggered by a pet, thunder, lightning, or burglar alarm malfunction. * TERMS AND CONDITIONS: Homeowner verification, credit approval and standard sales and monitoring agreements required. Standard text messaging and data rates may apply based on your mobile plan. Message delivery is subject to mobile carrier network availability. Internet connection must be available in order to use video camera(s) and other selected services. 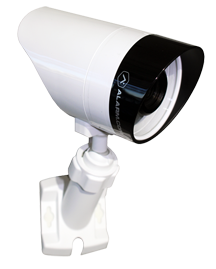 All sensors must be installed by Guardian at the time of the system installation. Local permit fees may be required. Usage of existing equipment is based on compatibility with Guardian's central monitoring station receivers. You must not currently be subject to an agreement with another monitoring company. **Limited Lifetime System Repair (LLSR): With the LLSR, for as long as your system is active, we will provide services to address normal wear and tear or other malfunctions with your system, subject to the Terms and Conditions of your Agreement. Offer subject to change without notice. Cannot be combined with any other offer. Offer valid for new customers only. Additional terms and conditions apply.